December 19, 2009. Morning feed at 6:30. Weather: windy, cold, clear, 20F. Food: she ate it all. Hay 1/3 left. Water 1/3 left and hole in ice for muzzle. Anna is eating fine. Feed bucket in corner tipped over. December 20, 2009. Morning feed at 6:30. Weather: cold, clear, light wind 10F. Food: ate all grain and 2/3 hay left. Water 1/2 left Anna is in good spirits. Afternoon feed at 5:30. Weather: cold, clear, light wind 15F. Food: ate all grain and 3/4 hay gone. Anna is doing very well. These first two entries in Ellinore’s “horse journal” signal the changes taking place here at Water Run Farm this December. 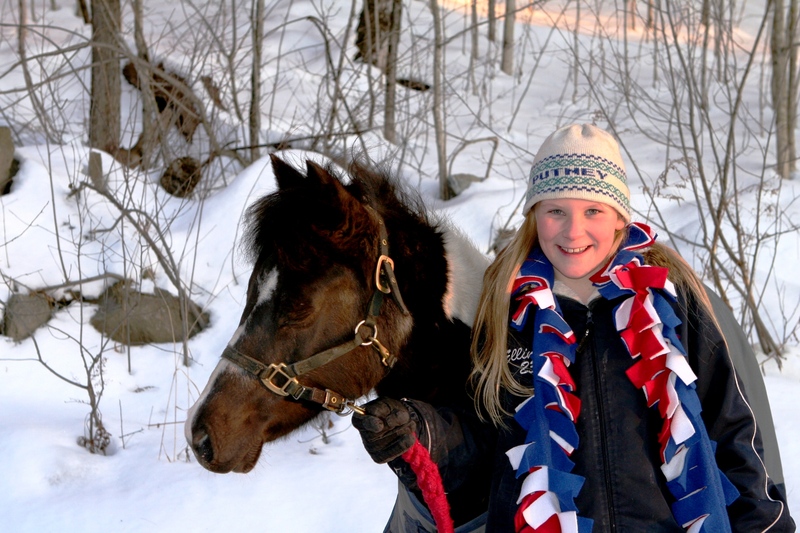 On December 19 Debbie (E’s riding teacher) delivered Anna and our horse adventure began in earnest. 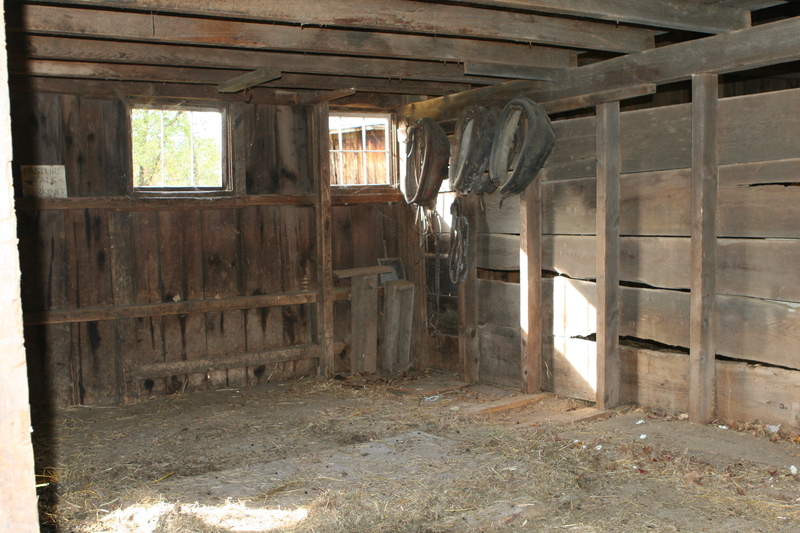 Preparations for Anna’s arrival had been going on for months—tearing out an interior section of the barn, gathering old boards and building new stalls, pulling nails and nailing down floorboards, putting up hinges and latches and bucket hooks. We need a tack room, too, our little equestrian insisted, and so we cleaned out another corner of the barn and put up hooks for halters and bridles, a saddle rack, and grain buckets. One of the nice things about building this new part of our lives is using the materials at hand. Nearly a week after Anna arrives I replace the windows and the stalls are less drafty. Anna (and Ellie) are happy with the whole project, it seems. And the family is working out the routine mornings and afternoons, minimizing trips to the barn, keeping water from freezing, watching a frisky little black and white Shetland pony run the perimeter of the field. There are now buckets and hay cubes in the kitchen, and the rich smell of horses on our work clothes hanging in the hall. We’re smiling a lot, too.